InstaCarma has helped customers to manage VMWare, Xen, OpenStack, CloudStack, AWS implementations for years. Be it PHP,RoR, SaaS platforms our DevOps team can work with both developers, operations management teams efficiently to provide seamless integration and deployment. A-la-carte - Cook your plan for Support! Pick your plan and type of support and feel the freedom to change your requirement as you go with our A-la-Carte plans. Reliability, Quality & Peace of mind – Delivered. No matter what the address. Its rare finding so many skilled admins under one roof who can handle kernel upgrades and security with equal ease as fixing a broken counter. 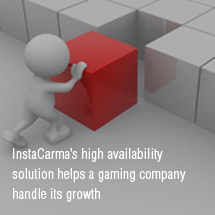 We owe our recent growth curve to the excellent services from InstaCarma. Getting our hosting services set up in the US was a huge task for us. InstaCarma gave us the best techs who had years of experience dealing with such situations. 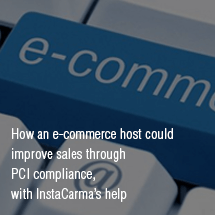 We have found InstaCarma to be extremely diligent and professional in their work. 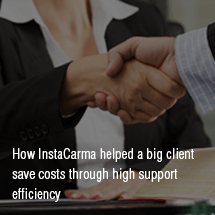 We highly recommend InstaCarma to anyone who needs responsive outsourcing. You won’t be disappointed by their quality of customer care. Seamless, reliable, secure and cost-effective tech-support solutions for hosters. That is what InstaCarma is all about. Our USP is a thorough understanding of the hosting industry and an enterprise-class work management system, VisionCarma to back this up with real-time SLA metrics & performance. We provide you with a solid ground and unsurpassed support for your customers. 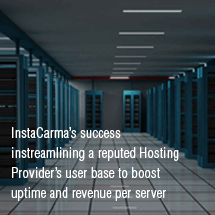 We are here to make your Hosting Company, a Multi-million dollar enterprise.